Driftwood Can’t Wait for Summer!! Ana Marta: food (grilled cheese, lasagna, pizza), activities (sailing, tennis, water-skiing), cabin mates, camp songs, counselors, lake, sun, friends, EVERYTHING! Jenna: having Jenny and Tori as my counselors, the coziness of Driftwood, talking to cabin mates about challenges, riding Cat Dancer on trail rides, canoeing with Claire when the water is calm, sleeping in one tent on our canoe trip, writing letters, hearing the bell in the morning, getting ready for the 4th of July campfire, TP & Woodland Fairs with the cabin! 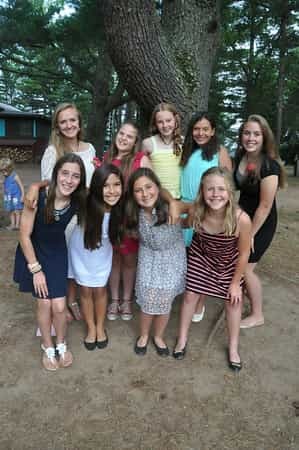 Gigi: taco bar, riding, my cabin mates, sunny weather, the smell of pine, my cabin counselors, my activities, Camp Woodland!! 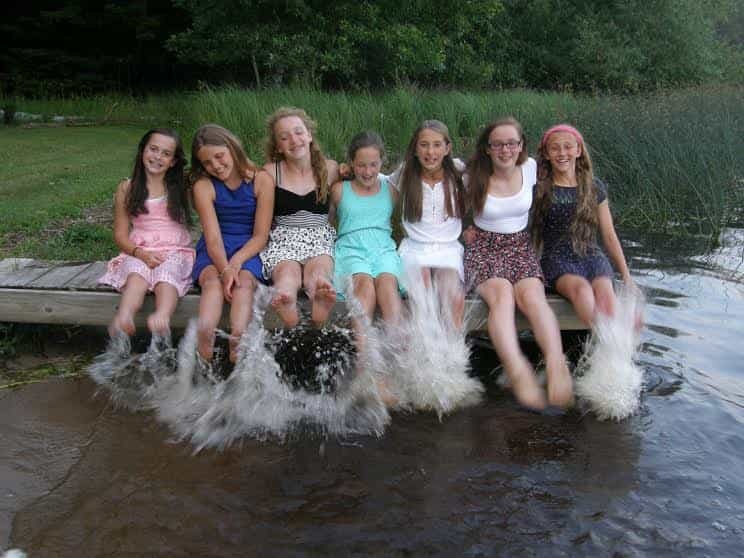 Tamarack 2014 Makes a Splash! Adri: Olympics because you get to do something different and cheer for your team, the food is good, my cabin because I feel comfortable with them and I have fun (I LOVE my cabin! ), activities because I like how you can do different things and have fun, all of my friends, and Spoon Assassins because it is a fun game. Bascially, I LOVE EVERYTHING! 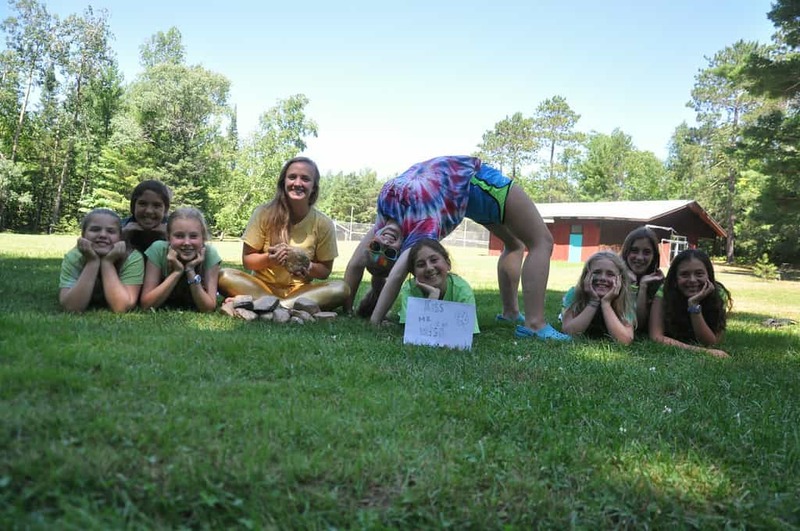 Taylor: my favorite things about camp is the variety in the activities and how everyone is different. I like how event if you are different, you are accepted. I also enjoy Sunday’s! 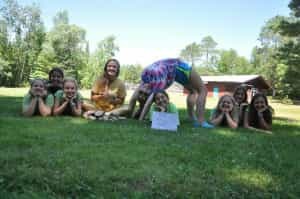 Georgia: my favorite things about camp are the food, Fairs, Spoon Assassins, Gold Rush, activities, and friends.